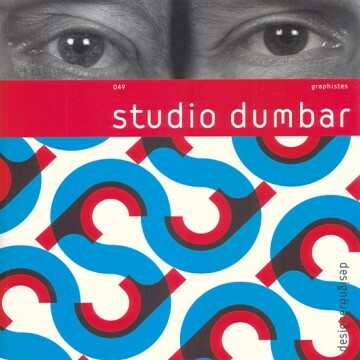 Design & Designer 049 – Studio Dumbar, official blurb: Gert Dumbar, a member of the Alliance Graphique Internationale, founded Rotterdam-based Studio Dumbar in 1977. Since the outset, the studio has executed large-scale corporate-identity projects for clients such as IBM, Philips, Apple Computer Europe and the Dutch national post office and telecoms operator. Today, 25 designers work for the outfit, which has received numerous international awards. Technically perfectionist and with an emphatically modern mindset, Studio Dumbar is a worthy representative of the Netherlands' very strong graphic culture. Its output – spanning identities for the police force, cultural posters and TV idents – has become part of th country's national identity. Truly a community of competencies, Studio Dumbar has always been driven by a continuous flow of often-young graphic designers from all backgrounds. In 2002, founder Gert Dumbar handed leadership of the studio to Michel de Boer; besides the name, he has kept he studio's distinctive modus operandi.